Dr. Wozniak is a graduate of The Medical College of Virginia/Virginia Commonwealth University School of Dentistry, where he received his Doctor of Dental Surgery and his graduate certificate in Endodontics. His degrees also include a Bachelor of Science in Biology and Chemistry, and a Master’s of Science in Anatomy. 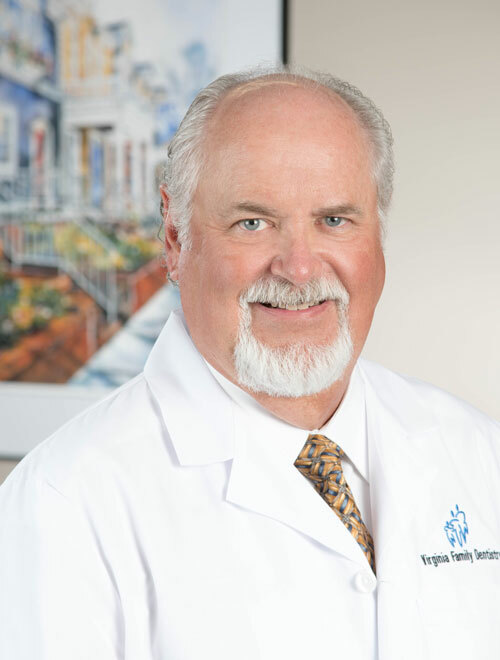 He has been in the practice of endodontics for more than twenty years and currently serves as an Adjunct Associate Professor of Endodontics at VCU. He is a past president of the Virginia Academy of Endodontists, and is a past chairman of the dental division of the MCV Alumni Association. He is a member of the American Dental Association, Virginia Dental Association, American Association of Endodontists, Virginia Academy of Endodontists, the Southern Endodontic Study Group, and is board certified by the American Board of Endodontics. Dr. Wozniak was born on Guam. He grew up in a military family and traveled extensively. He received his Eagle Scout award while living in Fontainebleau, France. He is married to his wonderful wife Alyse Muzette, his interests include spending time with his four amazing children, family, golf, VCU basketball and track days at Virginia International Raceway. Find Dr. Wozniak at Virginia Family Dentistry Staples Mill.